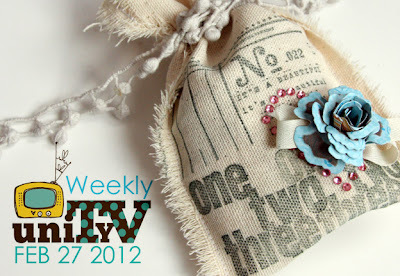 If you are watching the video via this Blog, please go to the bottom to mute the blog's background music. Thank you! Or you can watch it on our You Tube channel. I am seeing MANY possibilities for these stamped canvas bags! You can put handmade jewellery or candy inside. Anything small and lovely. Look through your Unity stash, and think of all the possibilities. 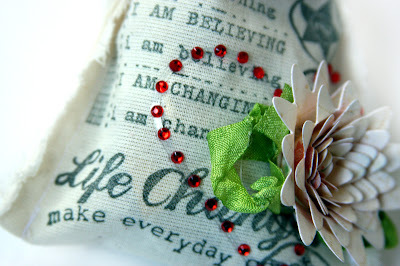 Change the mood of the bag based on your stamp choice. 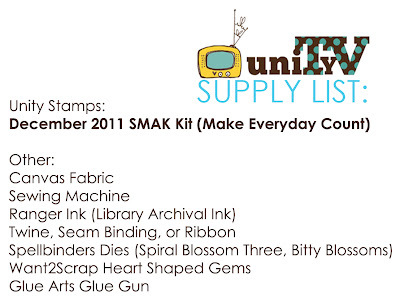 I used Unity's December 2011 SMAK Kit called Make Everyday Count. 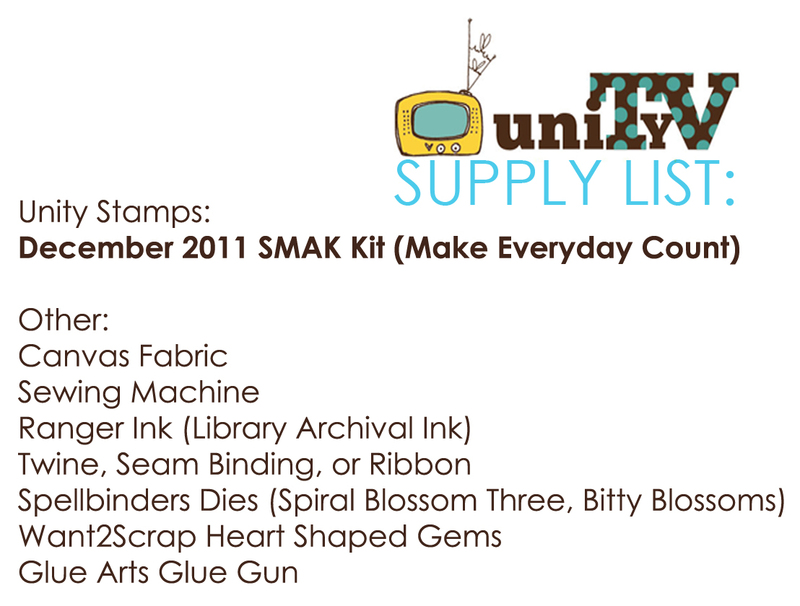 December 2011 SMAK Kit "Make Everyday Count"
And here is the how-to video! If you watch UnityTV on You Tube, go ahead and subscribe to the UnityTV channel (UnityStampCoTV), because the videos will just keep coming!